Crossroads of Civilization at Milwaukee Public museum “explores how the ancient civilizations of Africa, Europe, and Asia came together to form an epicenter of complex culture, creating not just a physical crossroads, but an intellectual one as well.” As visitors enter the exhibition space, they are presented with an interactive and digital timeline that spaces across three 65” touch walls in 4K ultra high-resolution. This expansive timeline begins in 3,200 BCE and extends to the fall of Rome, some four millennia later. Three regions are explored across the timeline: Egypt, Mediterranean Europe, and the Near East. 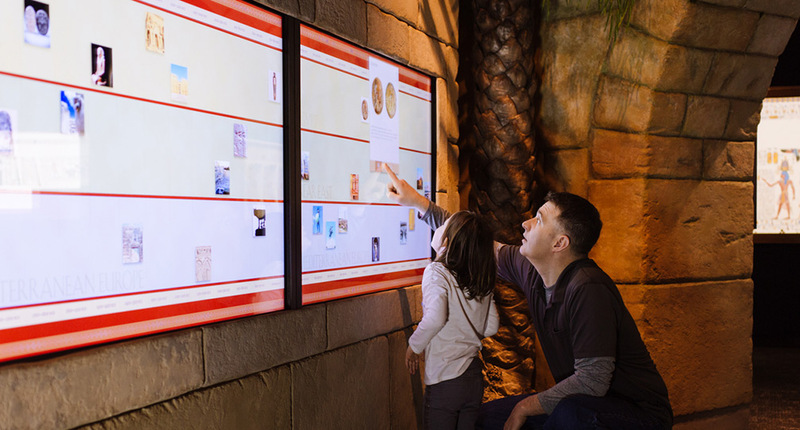 Significant milestones such as the construction of the Great Pyramid, the establishment of Hammurabi’s code, the decline of the Roman Empire, and dozens of others are presented to visitors who can interact with the touch walls simultaneously. 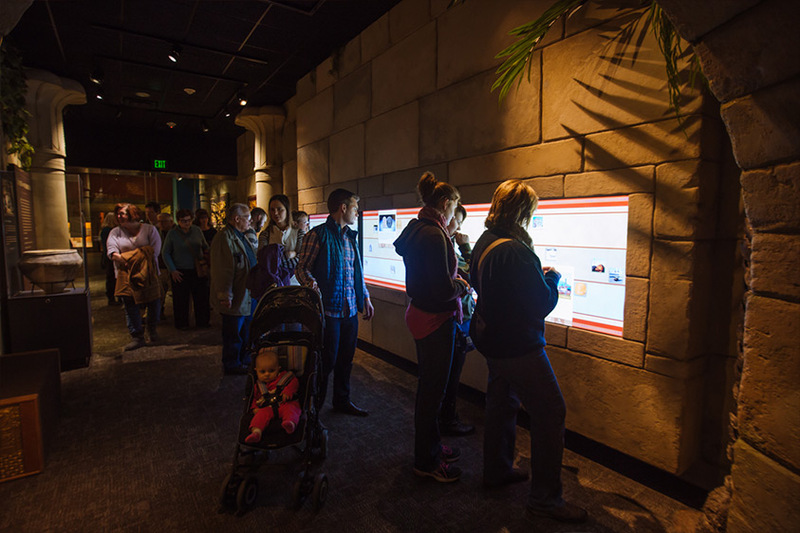 As many as nine visitors can interact at the same time with the three large multitouch walls. 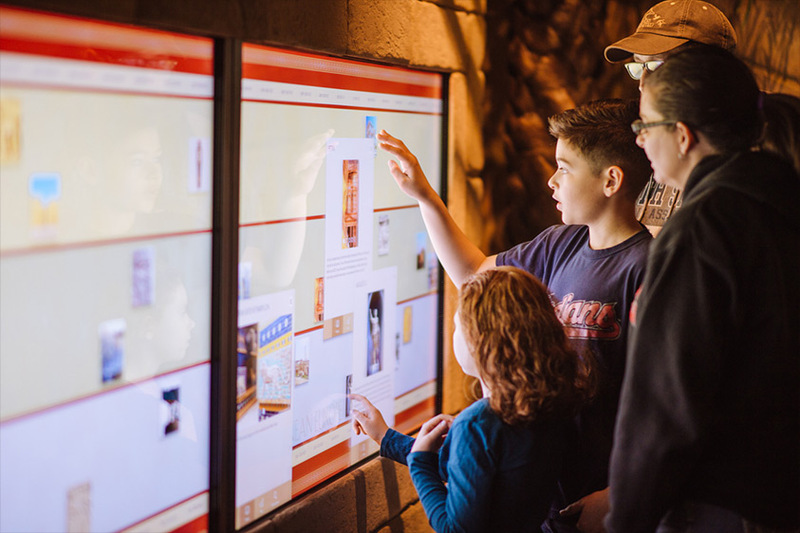 Ideum designed and programmed the software and worked closely with the team at Milwaukee Public Museum to create this interactive experience. In the summer of 2014, Ideum conducted usability testing with groups of visitors to the museum, helping the experience. 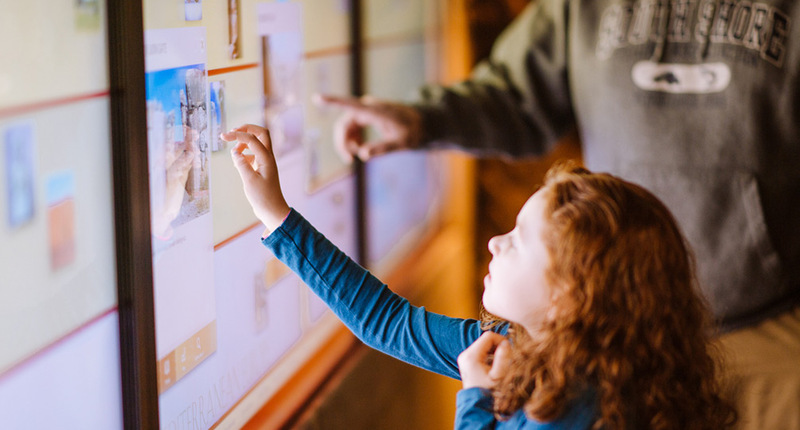 The 65” multitouch displays used in the exhibit were also designed by Ideum; they are part of the Presenter touch wall series. 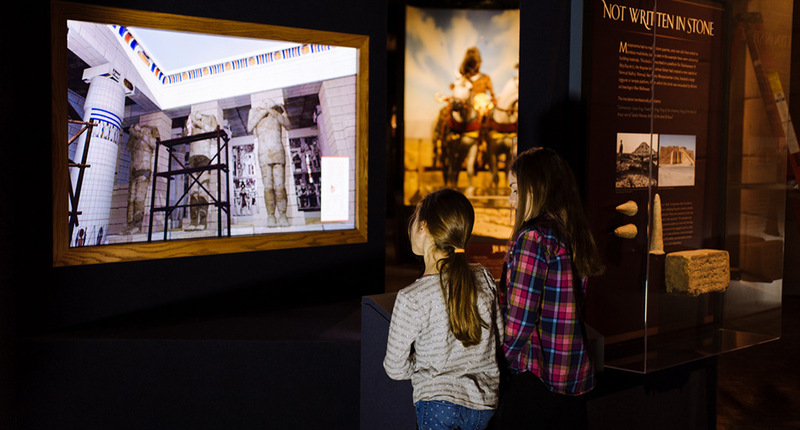 Crossroads of Civilization is Milwaukee Public Museum’s first new permanent exhibition in more than a decade. 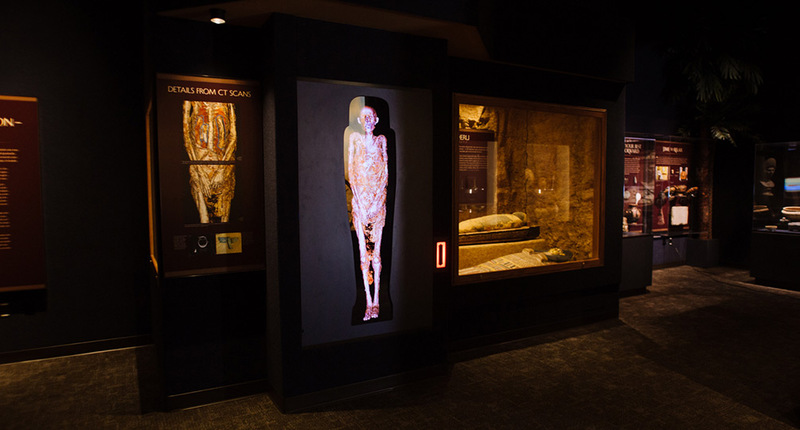 Ideum developed this exhibit along with three other interactive experiences (an interactive map of ancient empires, a life-sized mummy CAT scan, and an ultra high-resolution 3D model of the Medinet Habu Temple) in collaboration with Milwaukee Public Museum. The exhibit opened on the Ides of March, 2015. Visitors reflect on thousands of years of history. The timeline is composed of three 65" multitouch displays.